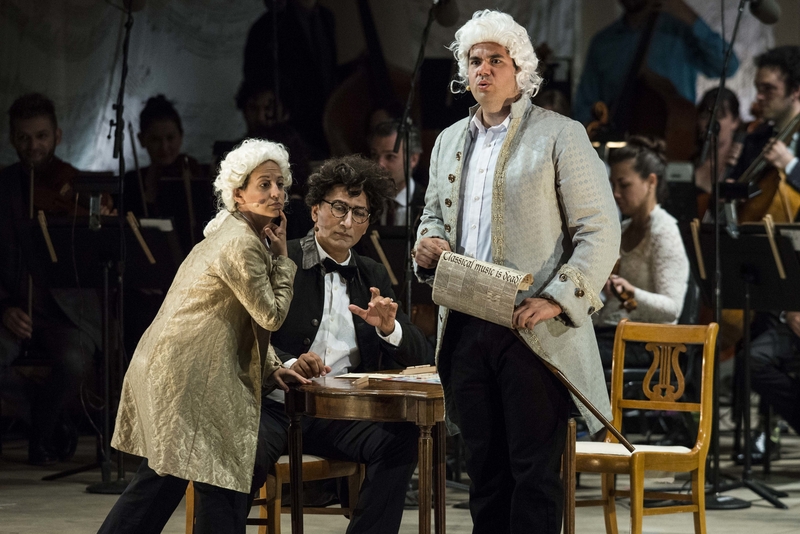 Review: There’s ‘Classical Style’ and substance in opera premiere in Ojai. Los Angeles Register, June 16, 2014. There are many good jokes in the libretto. I can’t remember if that one is in the libretto, or if it was something Denk said, but I think it’s in the libretto. The composers get a hold of a NY Times article on the death of classical music at one point, and read from it verbatim. Of course, Haydn, Mozart and Beethoven don’t even know what “classical music” is.